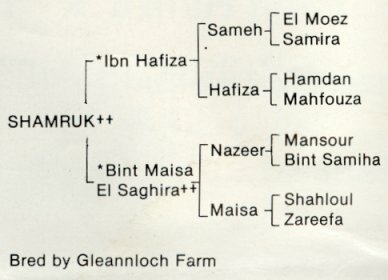 *Ibn Hafiza x *Bint Maisa El Saghira The only *Ibn Hafiza son of Gleannloch's Nazeer daughter *Bint Maisa El Saghira, Shamruk++ has won numerous championships in halter and performance. 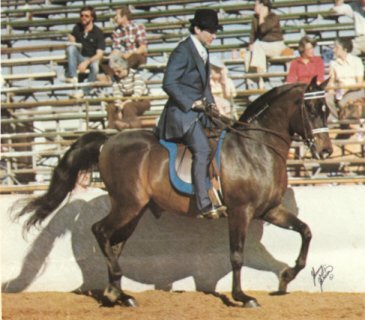 He took Top Five honors in Region 17 in Halter, English Pleasure and Native Costume. 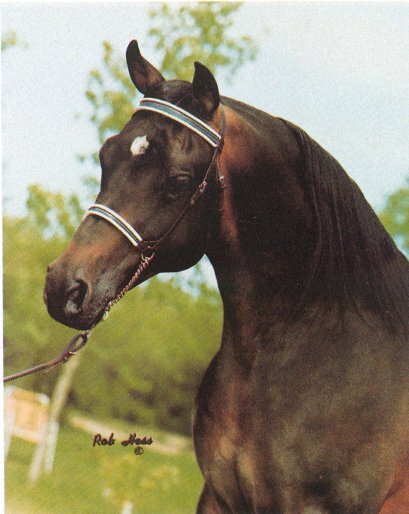 At Scottsdale, Shamruk++ was Top Ten in Halter and native Costume as well, and was undefeated in 1983 Get of Sire classes. 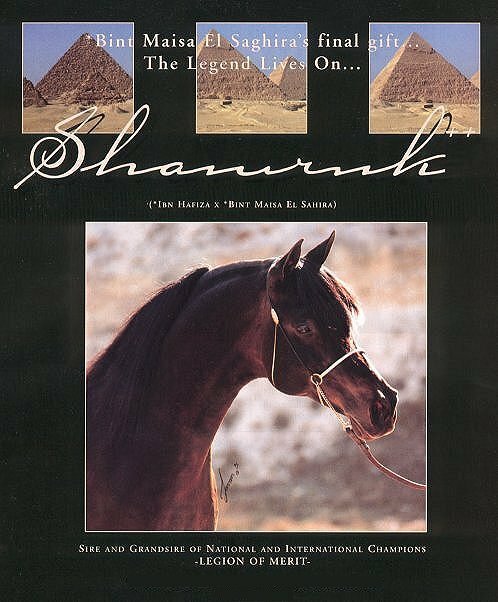 Shamruk++ is the leading son of *Ibn Hafiza as a sire, beautifully combining the blood of Sameh and Nazeer, and was *Bint Maisa El Saghira's last foal.